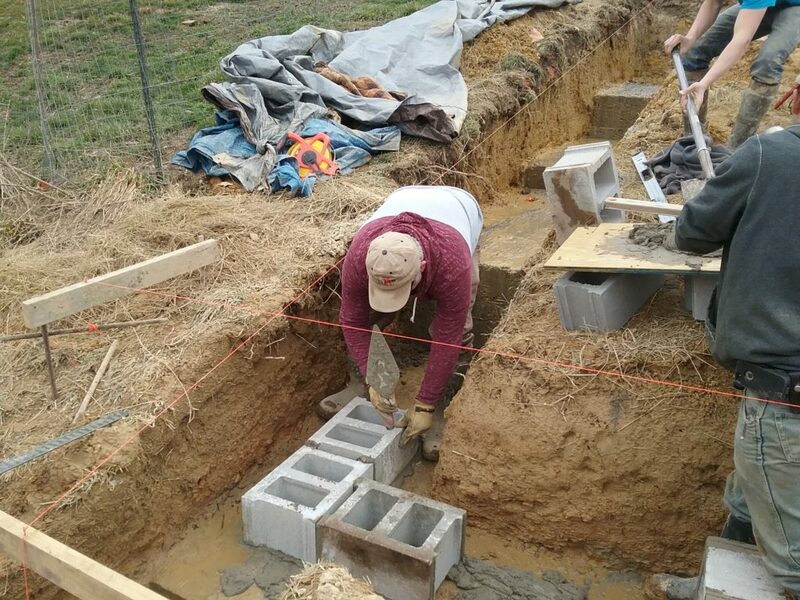 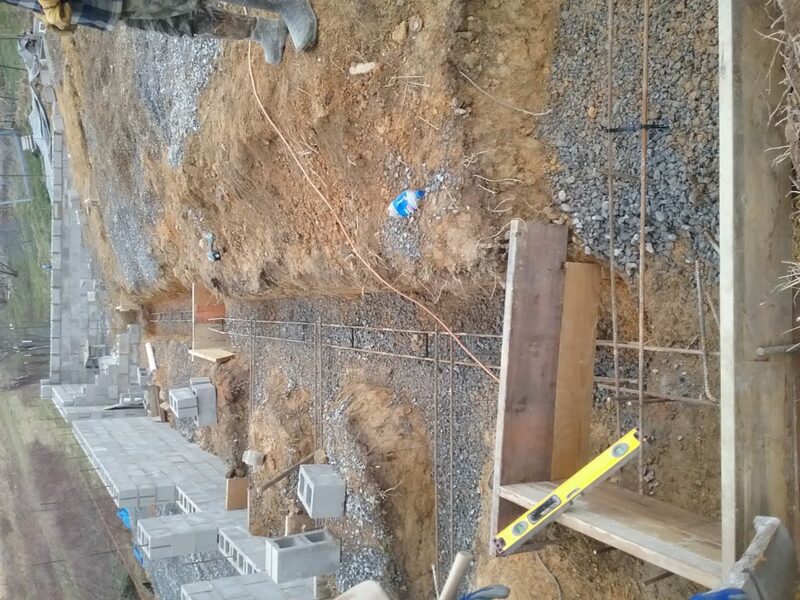 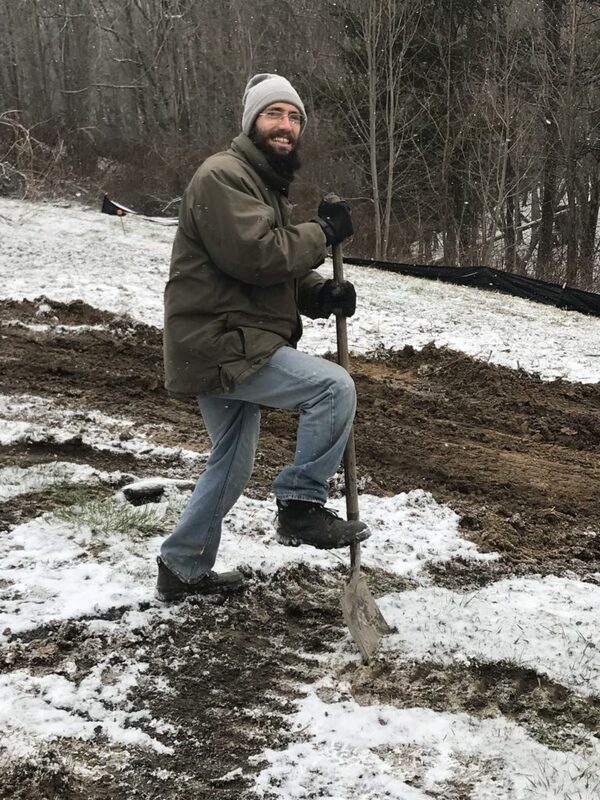 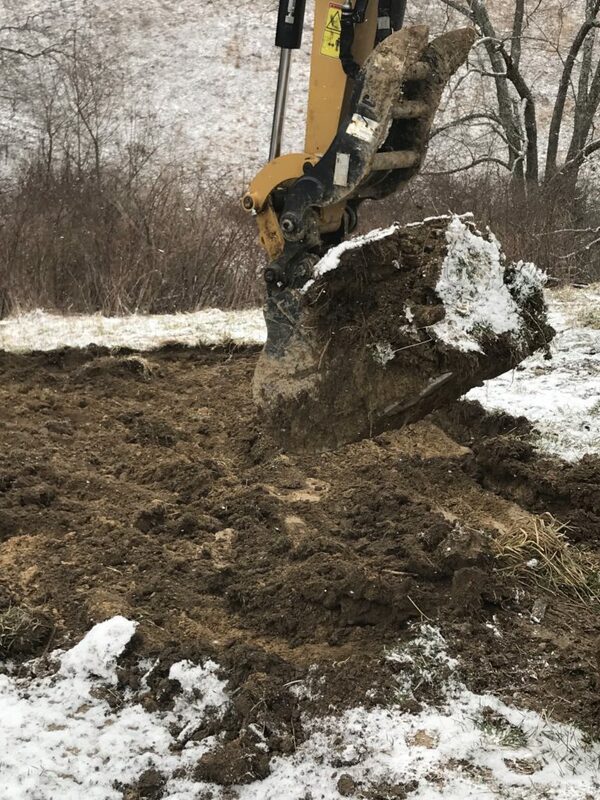 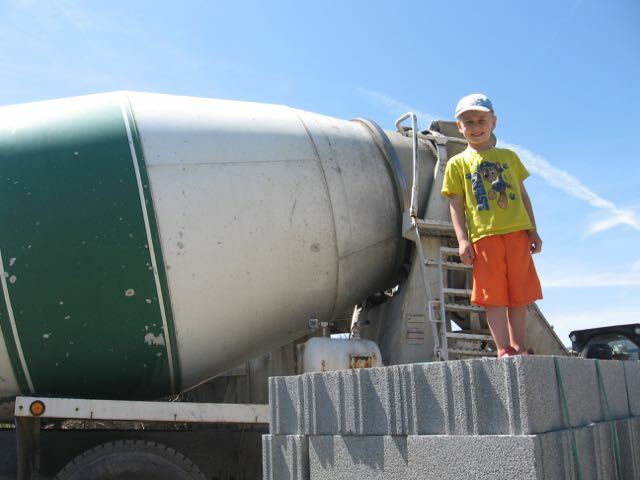 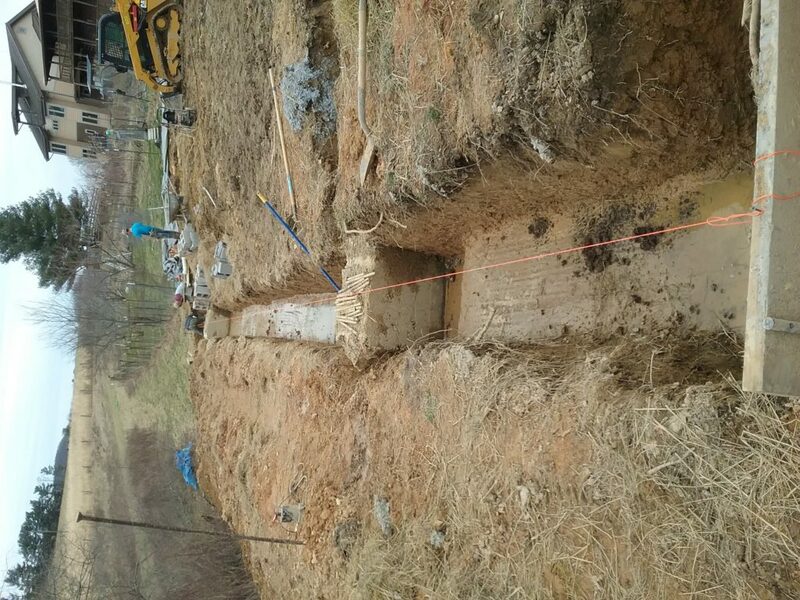 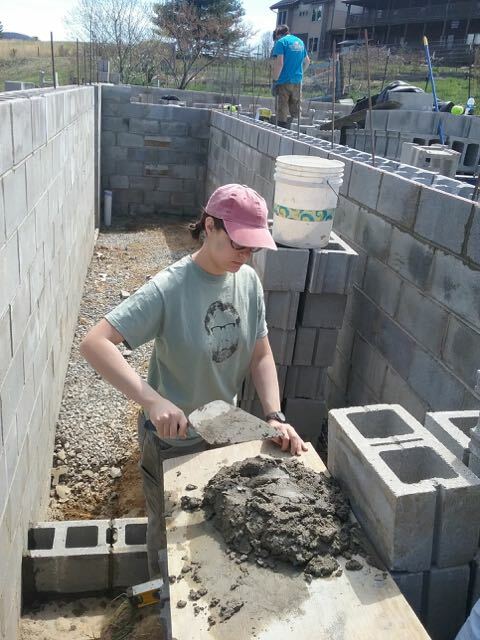 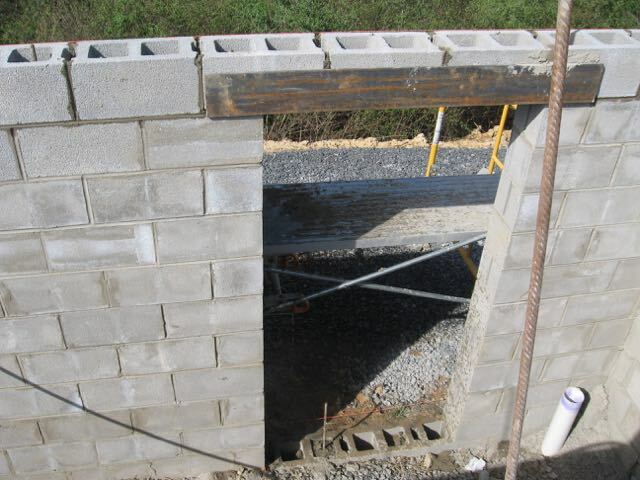 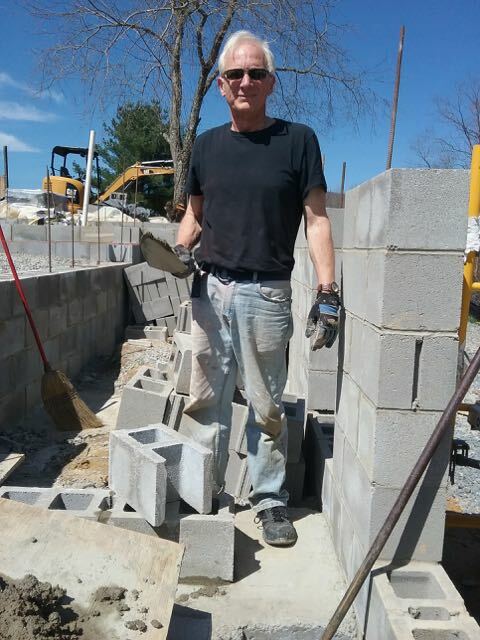 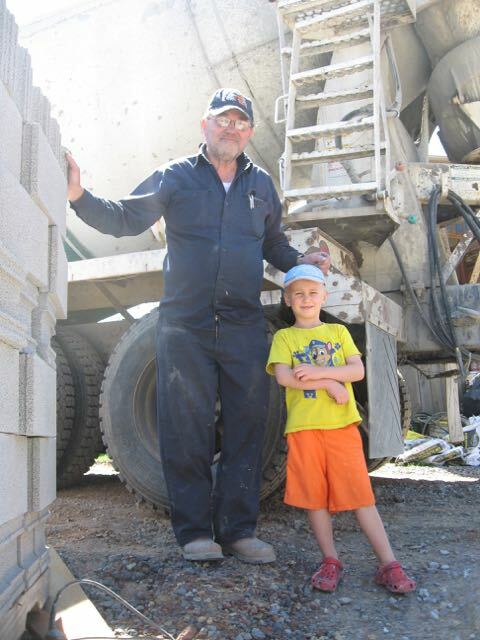 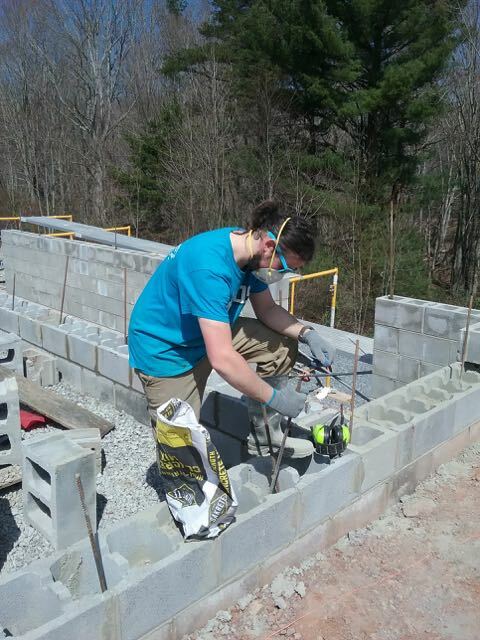 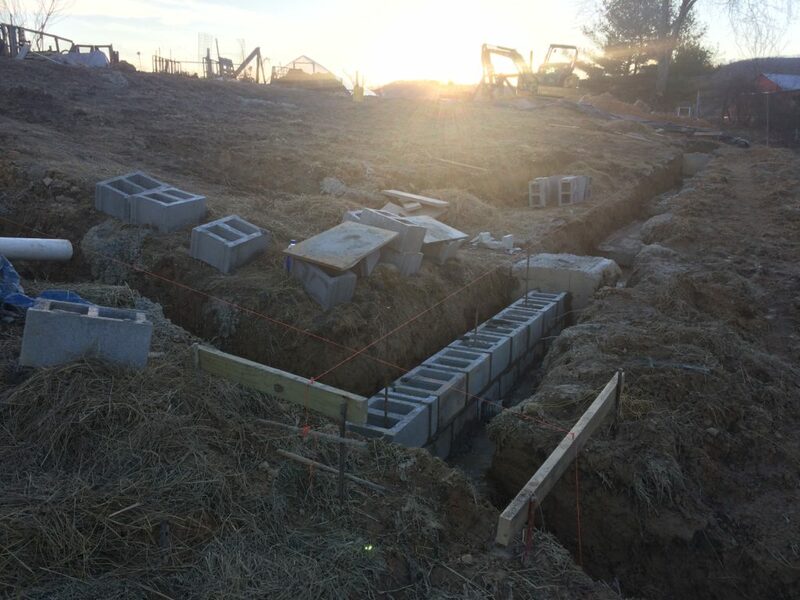 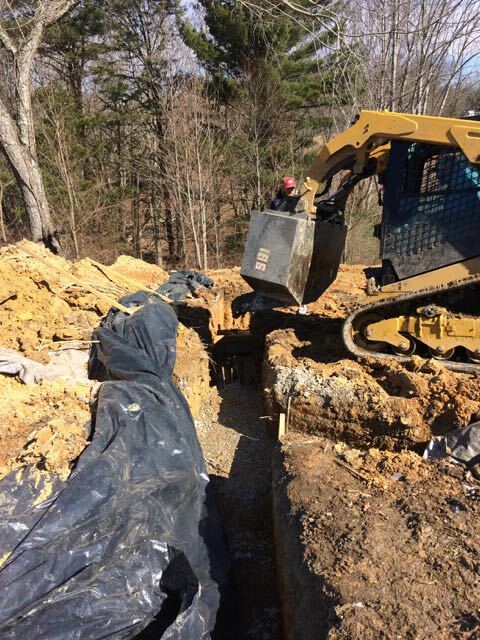 The final footer has been poured (supervised by 5-year-old Isaiah), courses of block continue on up, footer drains complete, root cellar deepens, openings into composting toilet bins and root cellar get their lintels, volunteers pour concrete into retaining walls. 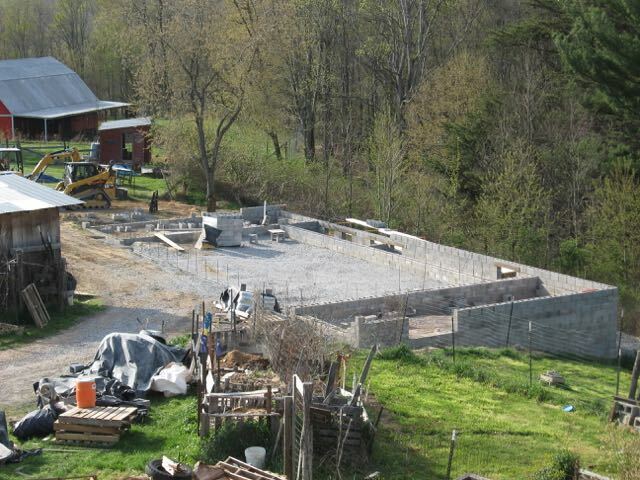 Soon, we will be ready for the slab to be poured! 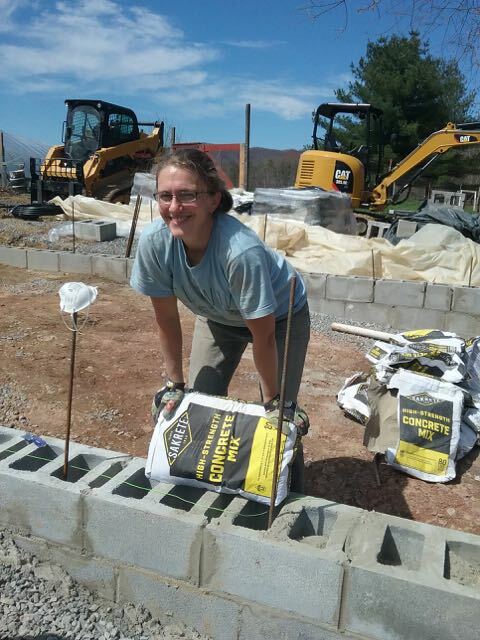 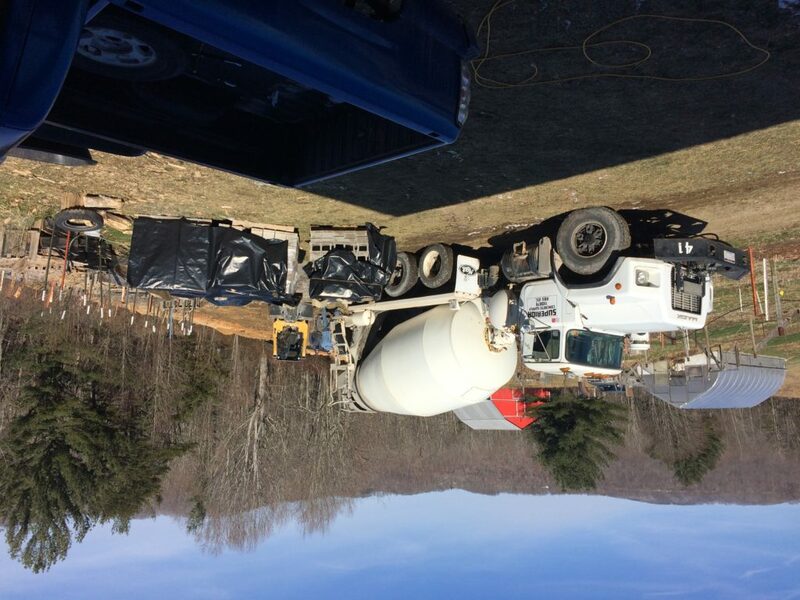 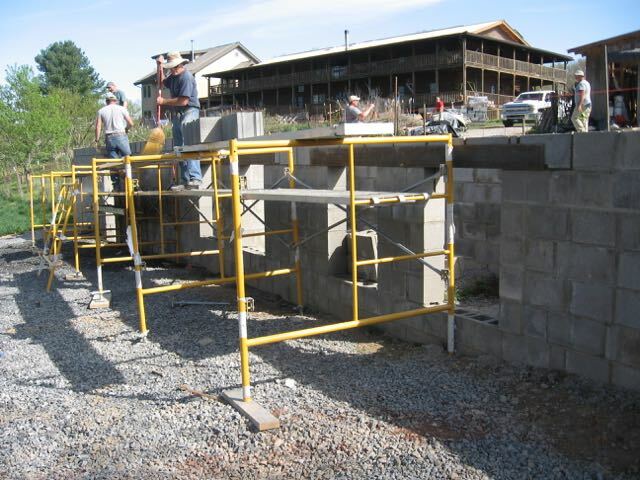 The Caretakers carved out some time in the midst of spring group season to lend a hand on the foundation work: filling retaining walls with concrete mix (watch out for that dust!) 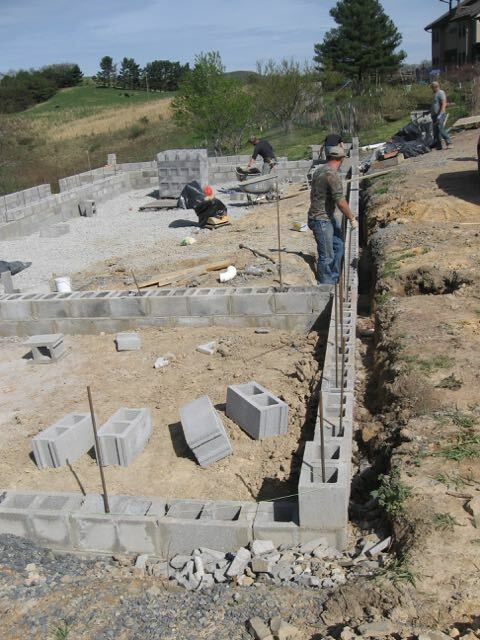 and laying the block walls to separate the compost bins beneath the composting toilets. 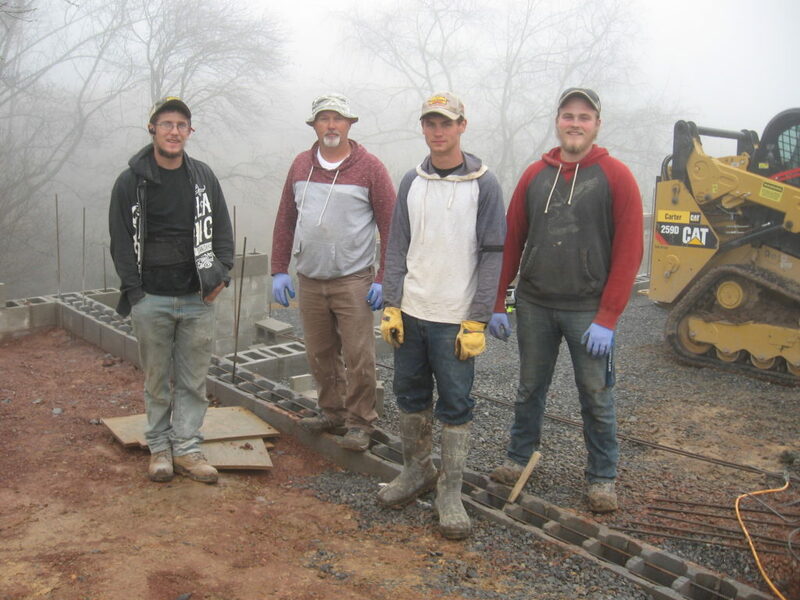 Thanks to Will and Farmer Tim for the coaching and for plenty of work on the site as well. 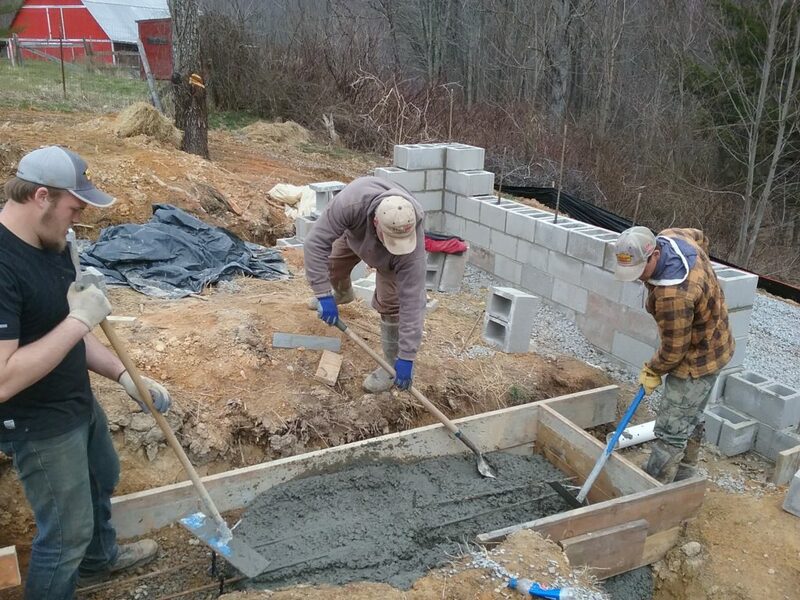 The crew from Solak Builders, Travis, Eric, Josh, and Nathan, has been hard at work this week. 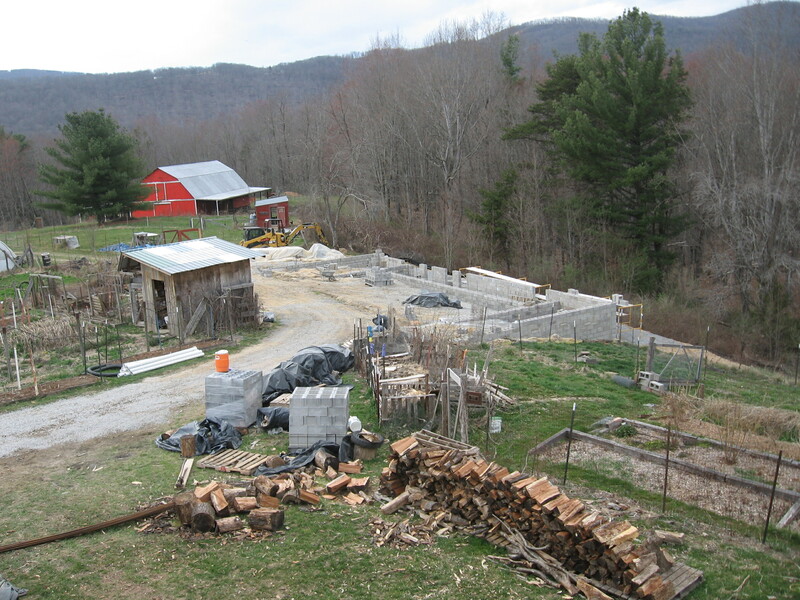 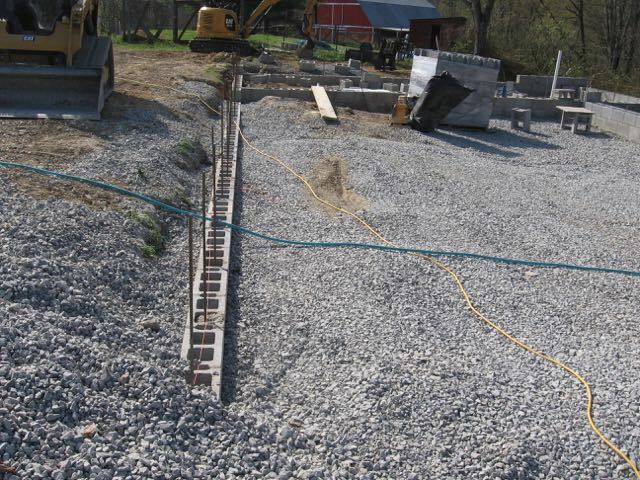 The foundations for the chicken coop/livestock shed and Outdoor Sustainability Education Area continue to take shape. 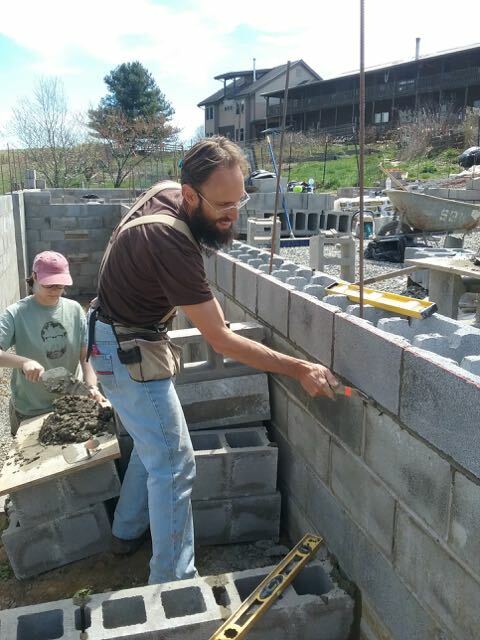 The retaining wall continues on up, as the root cellar deepens, and Caretakers begin on compost toilet bin dividers, with the instruction of Will and Farmer Tim. 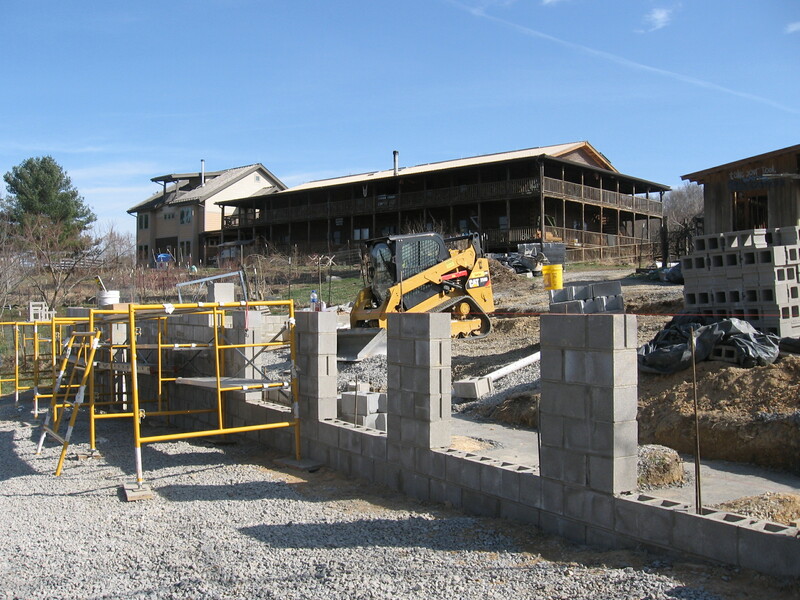 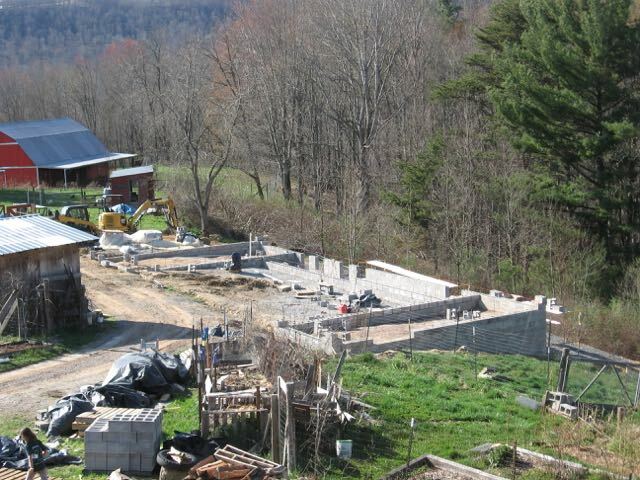 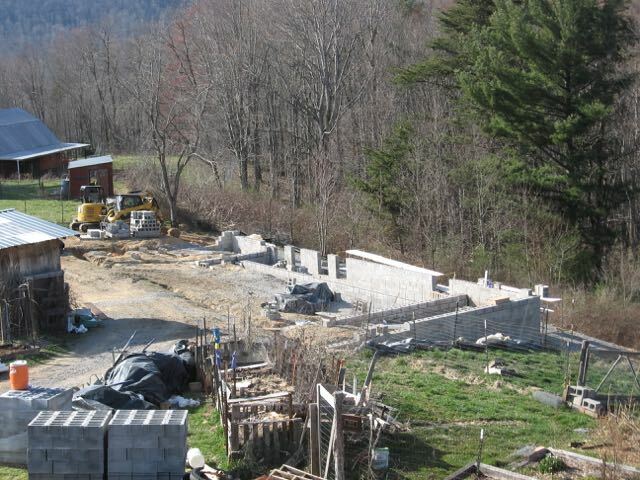 The foundation for the Outdoor Sustainability Education Area begins to take shape. 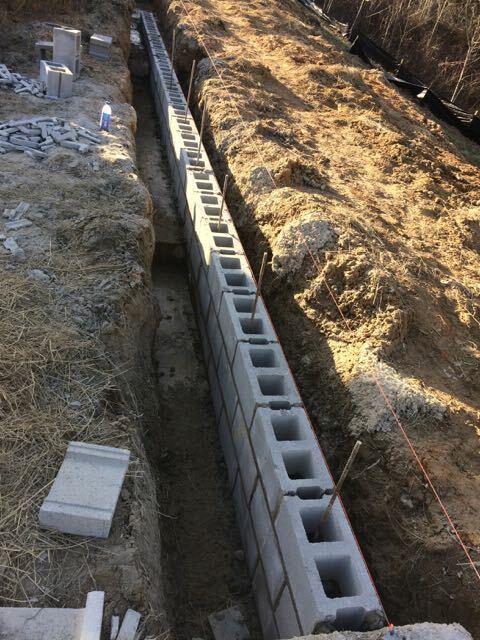 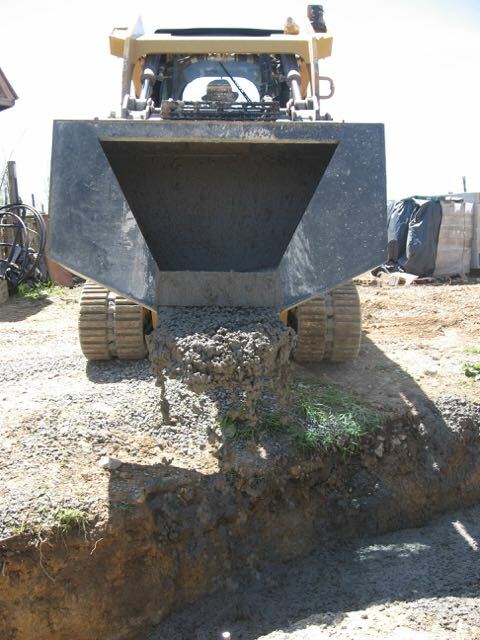 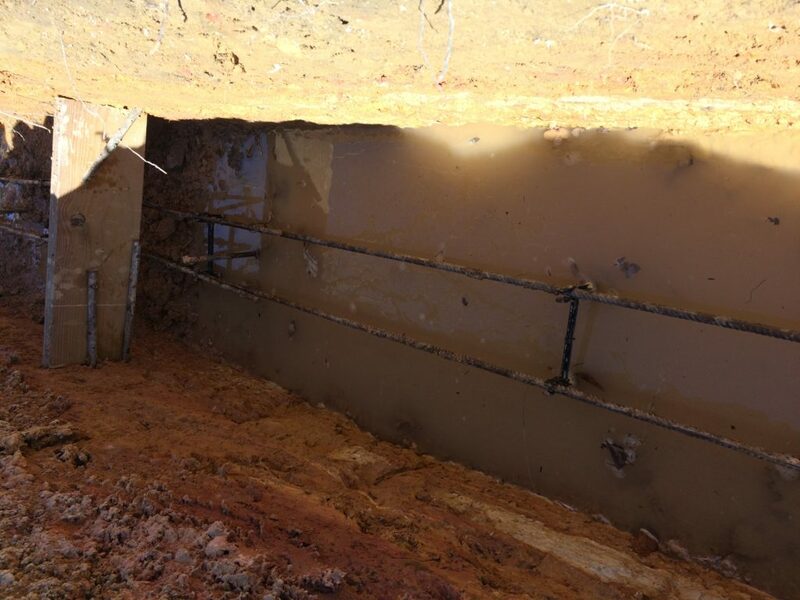 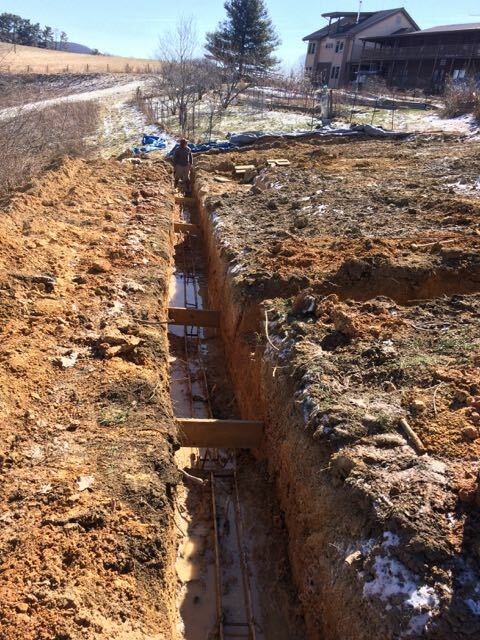 Footer drains continue as the footers step up the hill. 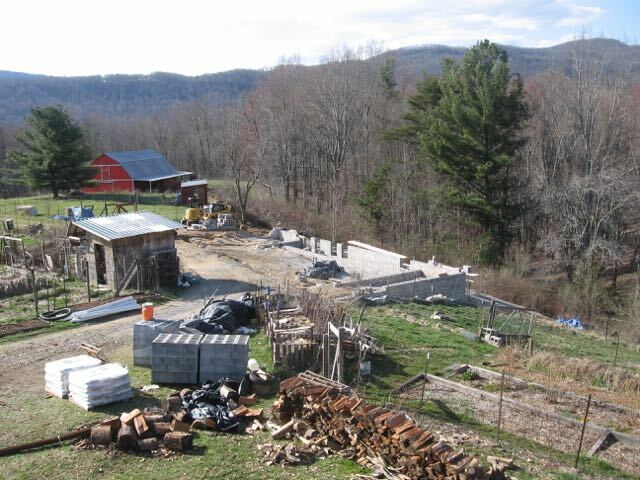 Life goes on at the Farm as firewood is split and stacked for next winter. 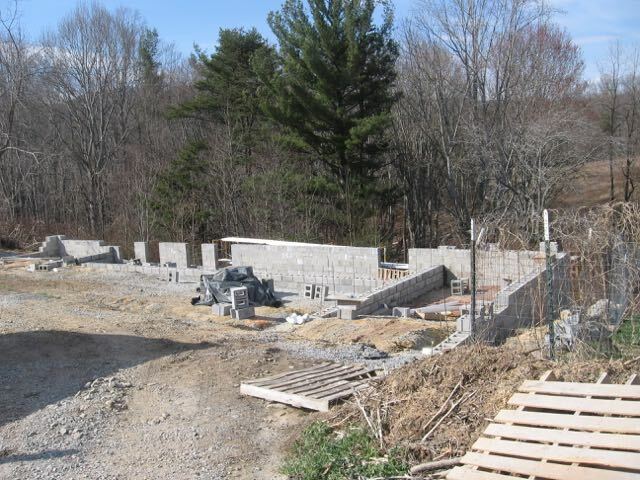 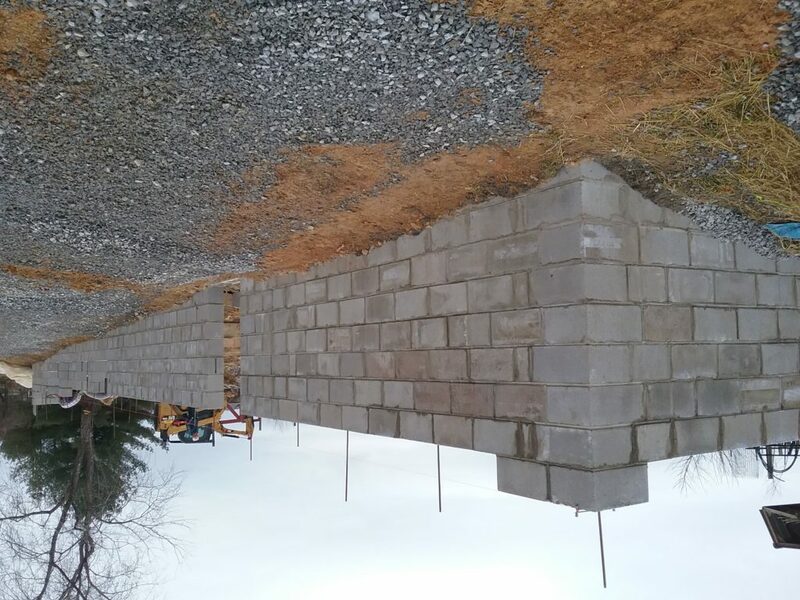 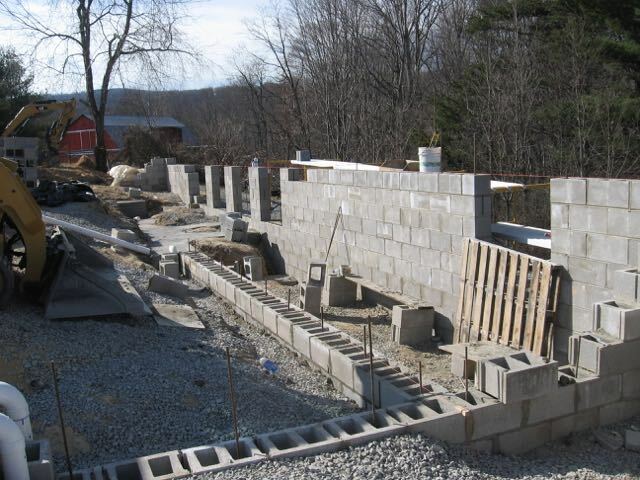 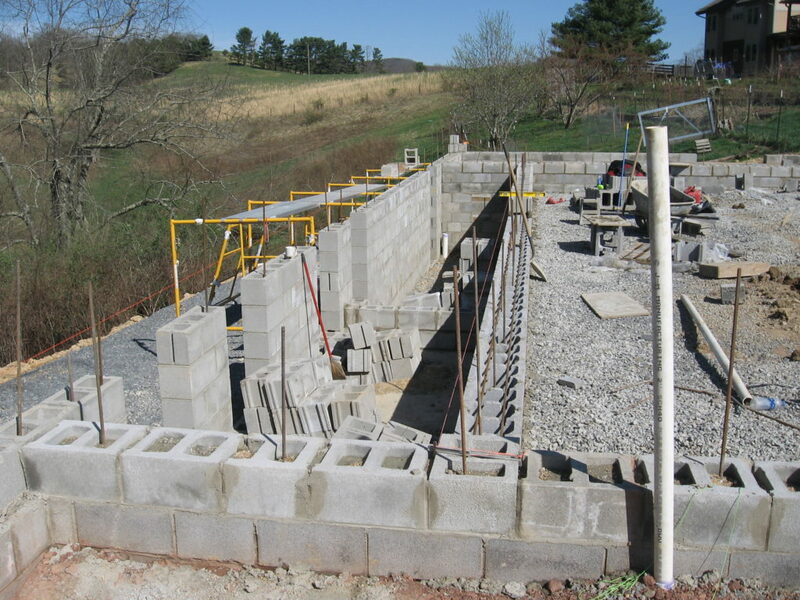 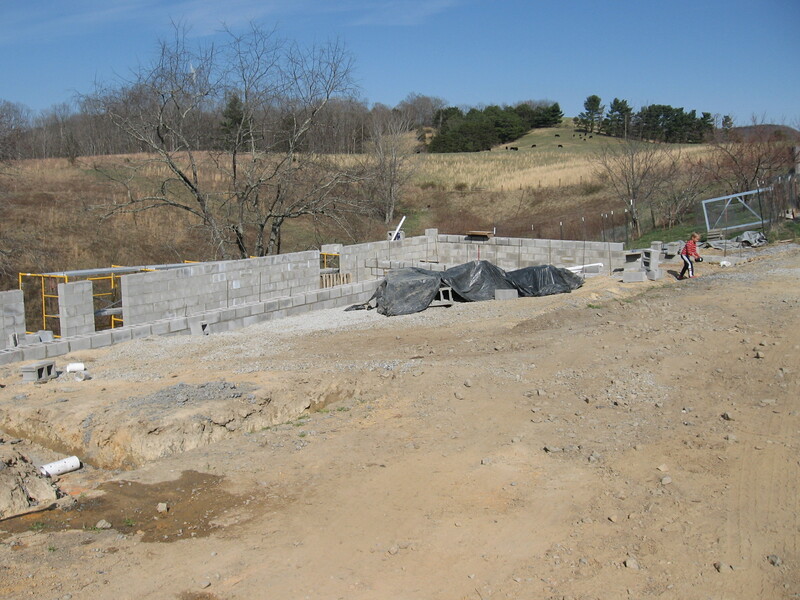 Cinder block foundation walls continue to rise as the shed foundation on the right for the laying hens begins to take shape. 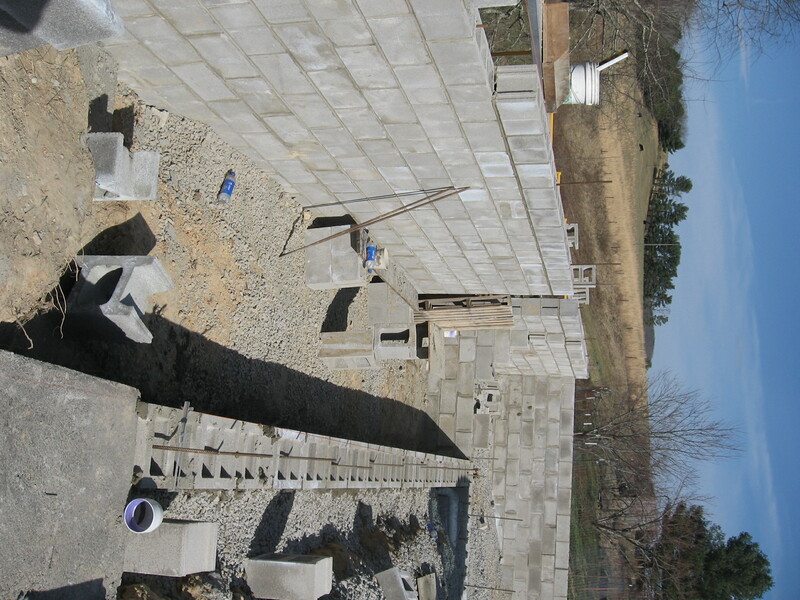 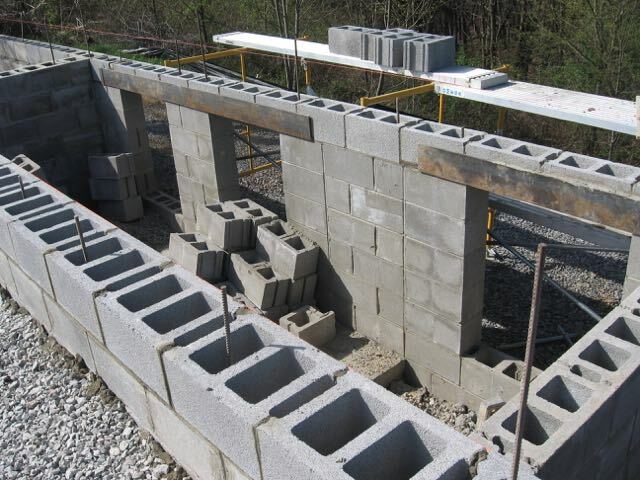 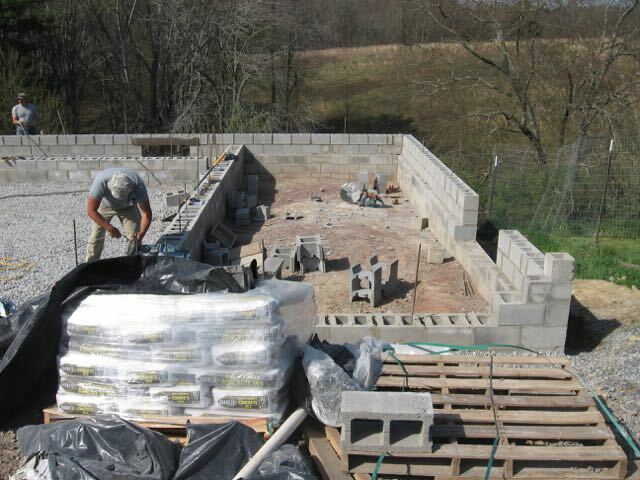 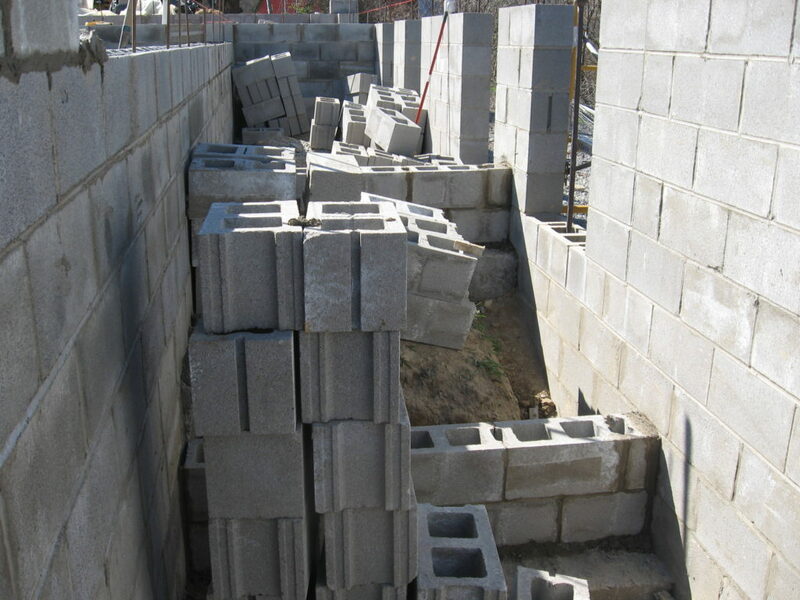 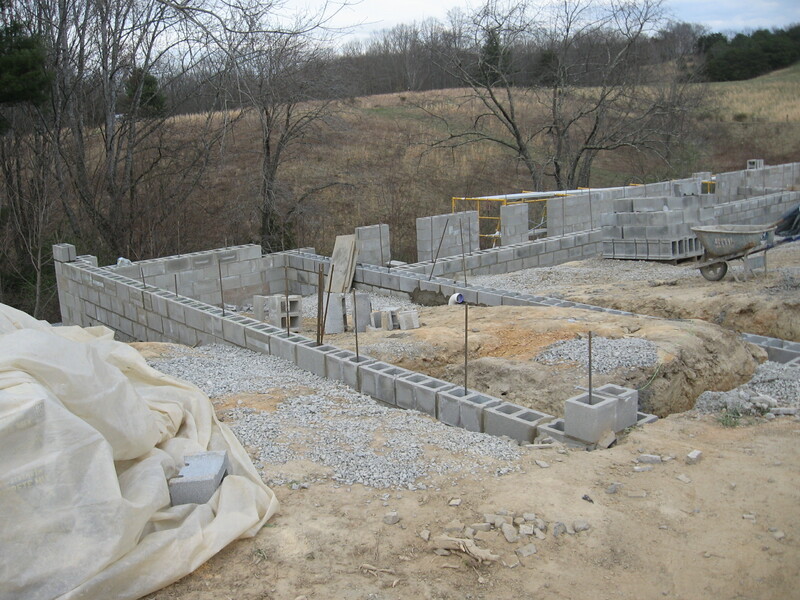 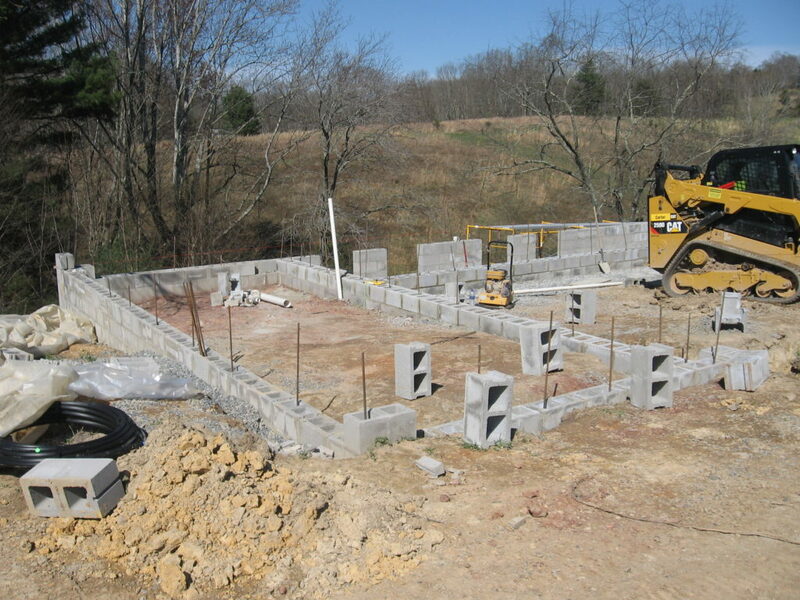 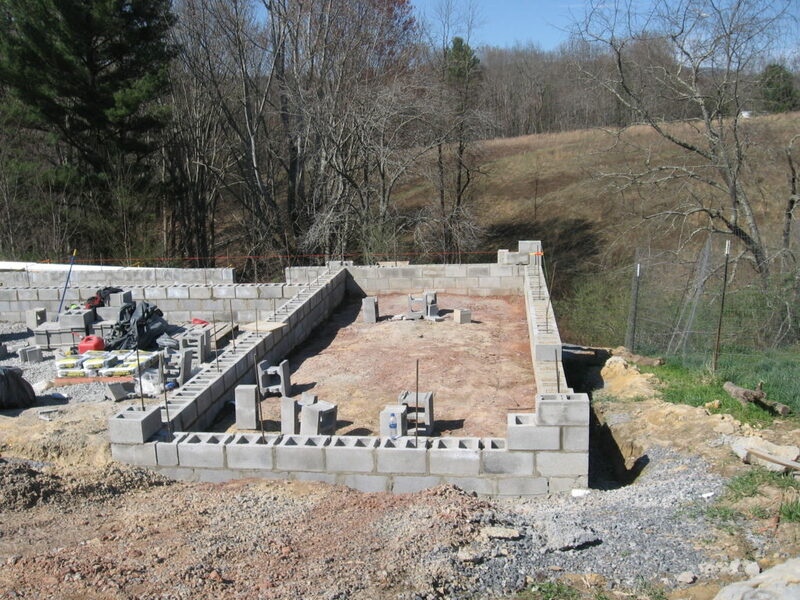 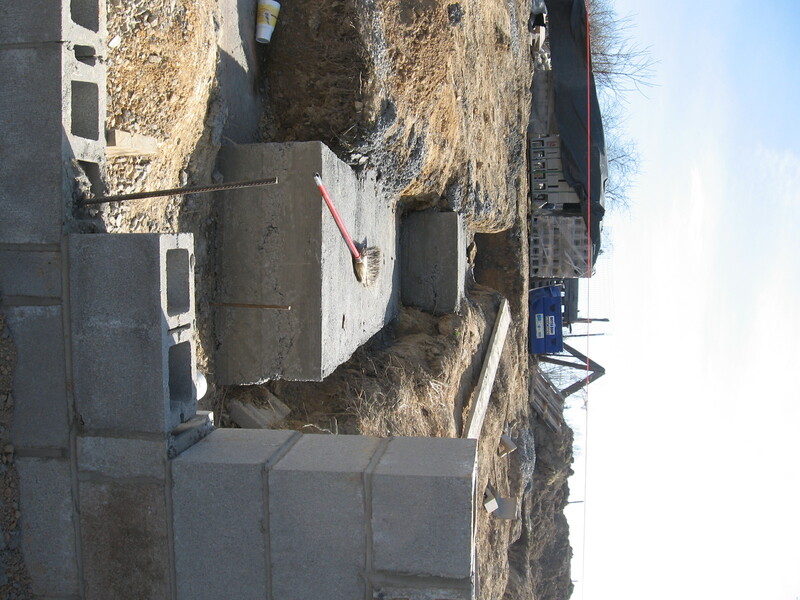 Cinder block foundation walls rise up and begin to define the root cellar and compost toilet bins. 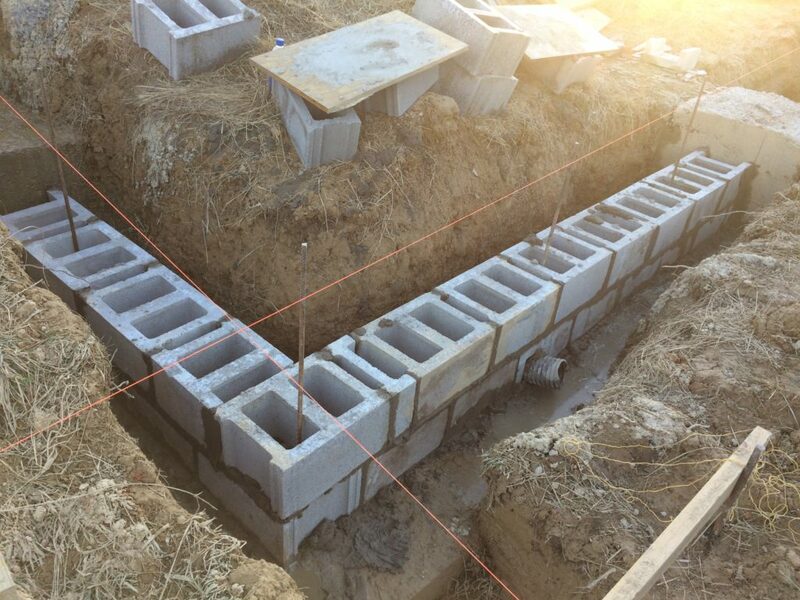 More footer is dug, prepped, and poured. 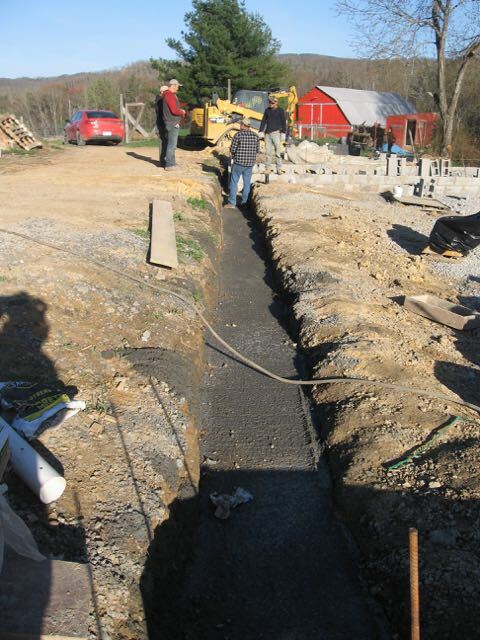 First footers laid out, dug, prepped, and poured. 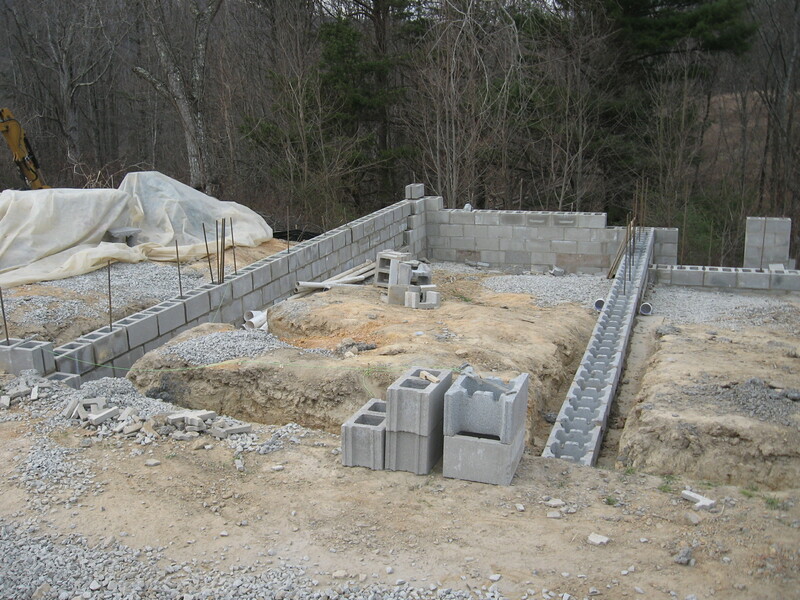 First few courses of block laid. 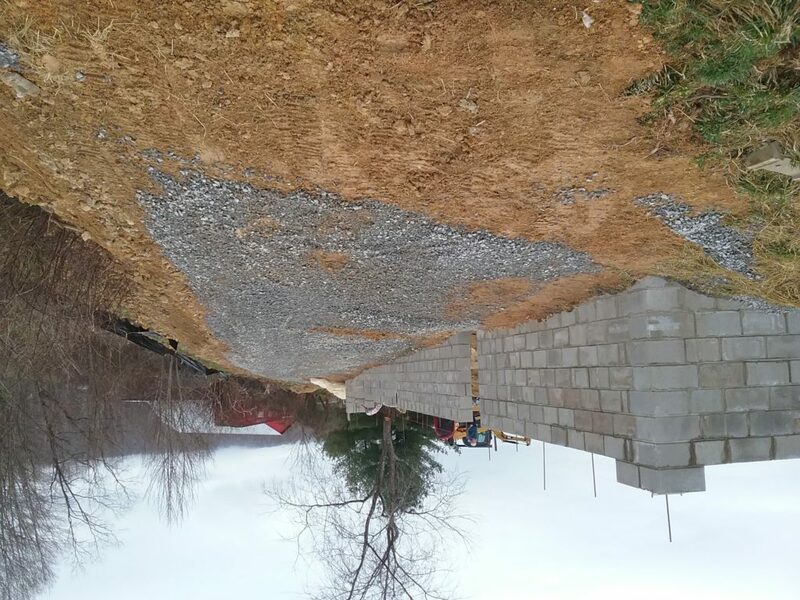 Want to pitch in to help us complete the project?